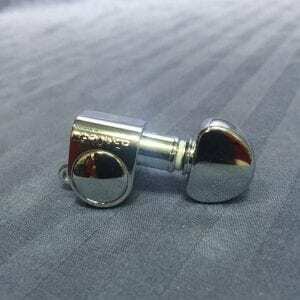 These smaller tuning keys are great for anyone looking for a low profile key, or are perfect for 6 in line headstocks where the tuners are spaced closer together. 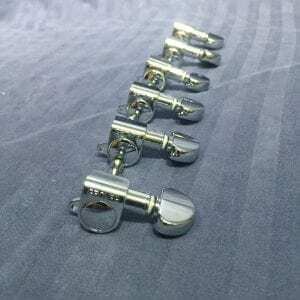 These tuners will work on most guitars with a 6 in line (not reverse) headstock. 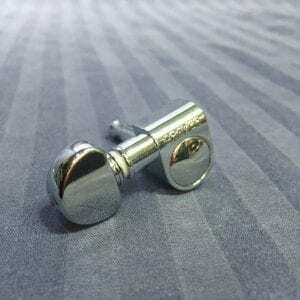 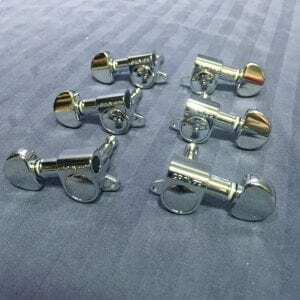 Tuners include: tuning machine, washer, threaded bushing, and set screw. These smaller tuning keys are great for anyone looking for a low profile key, or are perfect for 6 in line headstocks where the tuners are spaced closer together. 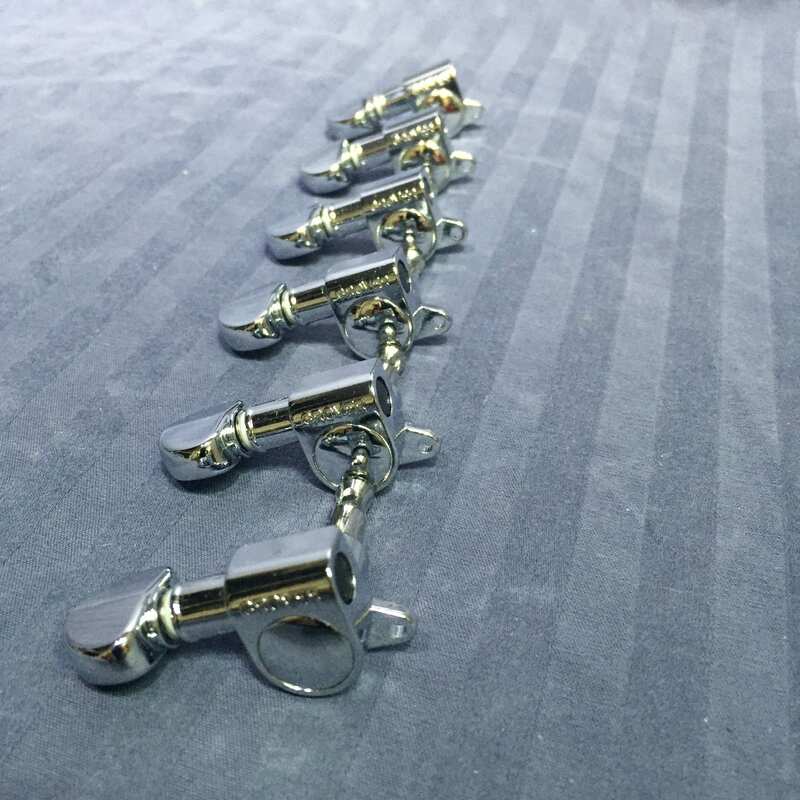 These tuners will work on most left handed guitars, or reverse headstocks with a 6 in-line configuration. 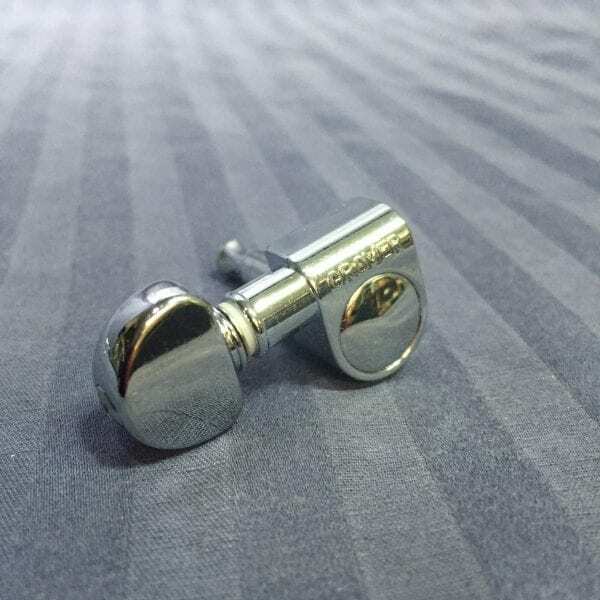 Tuners include: tuning machine, washer, threaded bushing, and set screw.